Thanks for visiting ChicagoComics.com! 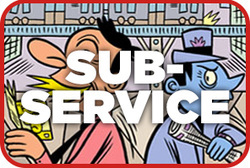 We're the Midwest's most comprehensive comic shop, specializing in independent and small press titles, as well as carrying a full array of mainstream publishers. 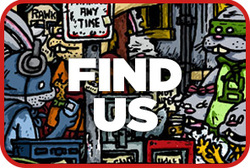 At Chicago Comics we strive to provide the widest variety of comics and related merchandise from around the world. 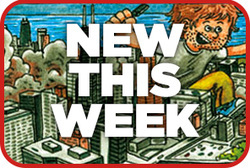 Chicago Comics has the most extensive independent comics selection in the midwest! We also carry a huge array of manga, mini-comics, zines, underground publications, and so much more! We are happy to special order anything that's still in print. For information on selling your own works, see our consignment form. 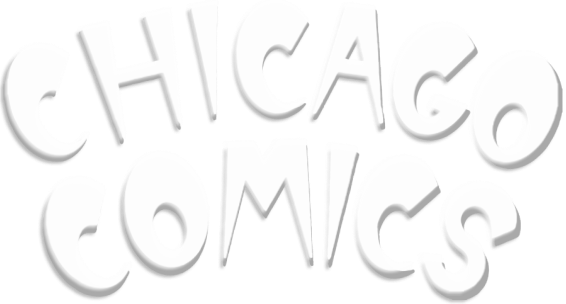 ﻿Chicago Comics is interested in your old comic books! We are most interested in pre-1970s issues, but we offer bulk rates for modern books! The books we are most looking to buy are comics with a .10 or .12 cent cover price. These are the books that have a better chance of being valuable, we pay more for them. If you have newer comic books feel free to give us a call or shoot us an email with details on your books, we can assess your next step. ​We've recently widened what we're interested in buying, for more details click here. Our buying day is Tuesdays from 12-6PM, no appointments necessary. Call or email us to set up an appointment if Tuesday does not work for you. Backstock Bucks are Chicago Comics' new incentive currency! For every $50 purchase (in a single transaction) you make at our store you will receive one $5 Backstock Buck credit slip. Backstock Bucks may be used towards a future purchase of back issues, quarter comics, or value packs! They even work on our collection of golden and Silver Age backstock on the wall! Start saving them up because Backstock Bucks can be combined together and they never expire! We have all this and more available in the store, but they're also available online if you don't feel like making the trip in! Head over to our eBay page to order yours.